Giovinazzi made his F1 debut in a surprise appearance for the 2017 Australian Grand Prix, stepping in at the last minute to cover for an injured Pascal Wehrlein. He is part of the Ferrari squad, signed to be their test and reserve driver over the 2016 off-season, after impressing in GP2 – finishing the series second overall. 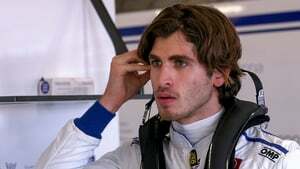 Antonio Giovinazzi’s single seater experience began in Italy, before he made the move to the European and British Formula 3 Championships. In 2015, he finished second in the European F3 series, and then won the Masters of F3 event. Across the winter, he joined the Asian Le Mans series, where he finished third, and then for the 2016 season he joined GP2. Driving for Prema Racing, Giovinazzi battled for the title right to the final round of the series but lost out and finished second in the championship. The efforts impressed Ferrari, however, who signed him up for some off-season simulator work and then became their official test and reserve driver for the 2017 season. Antonio was called up to participate in the pre-season Barcelona testing for Sauber, replacing the recuperating Pascal Wehrlein. He was then called up to replace Pascal for the Australian Grand Prix, making his debut in FP3 on the Saturday. McLaren's woes continue, it's getting ever more heartbreaking to watch Alonso trudge back to the pit lane in disappointment. And spare a thought for Antonio Giovinazzi who blotted his copybook with two crashes this weekend. Antonio Giovinazzi has had a huge crash on the main straight, hitting the pit wall. He's out of the car okay, but that is one damaged car. Antonio Giovinazzi suffered a spin and a crash that pushed him out of qualifying early, and has also necessitated a gearbox change - and thus a five place grid penalty.